Makin' it in Memphis: Browser Window Shopping: Summer Avenue Antique Mall. Browser Window Shopping: Summer Avenue Antique Mall. I love to share my treasure finds with you all. Last week, Jake and I went to one of my favorite treasure spots, Summer Avenue Antique Mall, (on Summer Avenue, if you couldn't guess). I snapped a few pictures of fun finds to share. One of the first booths we saw always is a go-to for Pyrex and vintage finds. 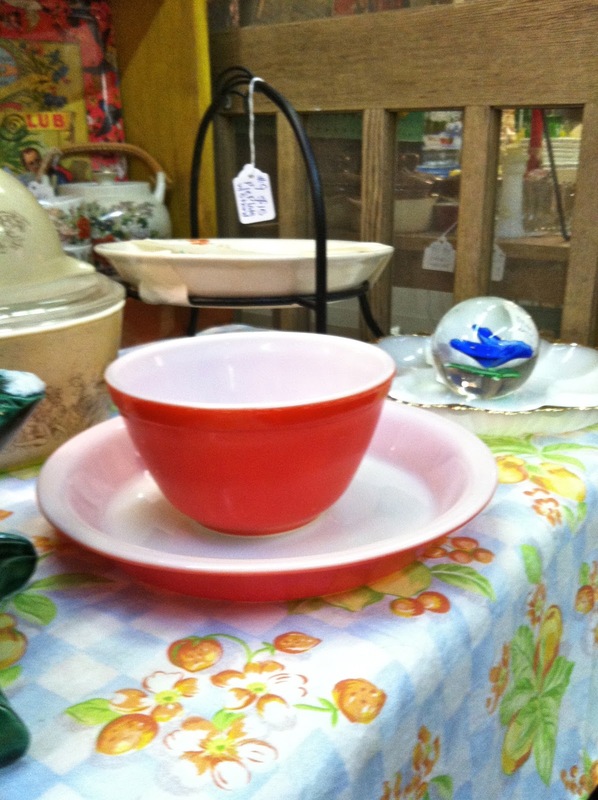 It had this great cherry red Pyrex mixing bowl and pie plate. I don't have that size bowl or a pie plate so those would be lovely under a certain Christmas tree. A few booths down, there was this Pyrex serving piece. 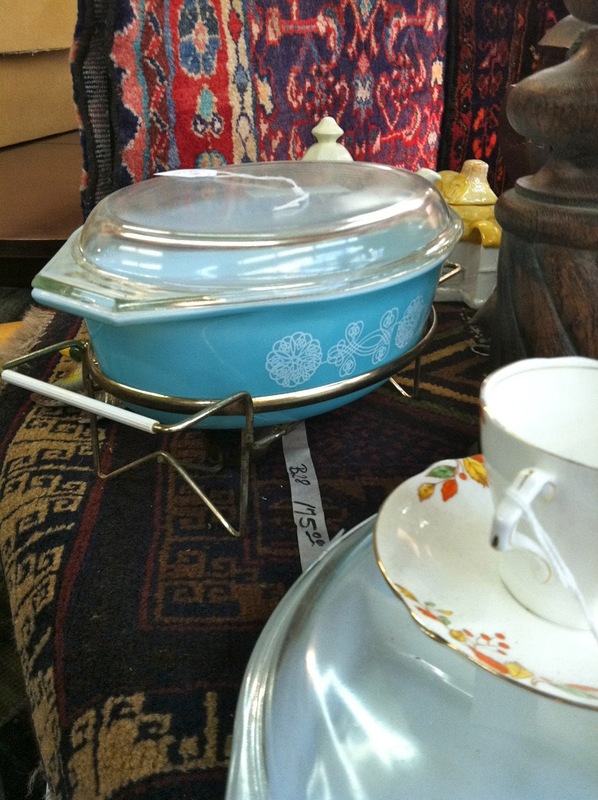 I might have a casserole this size already but had to share this anyway - isn't the server set up neat? 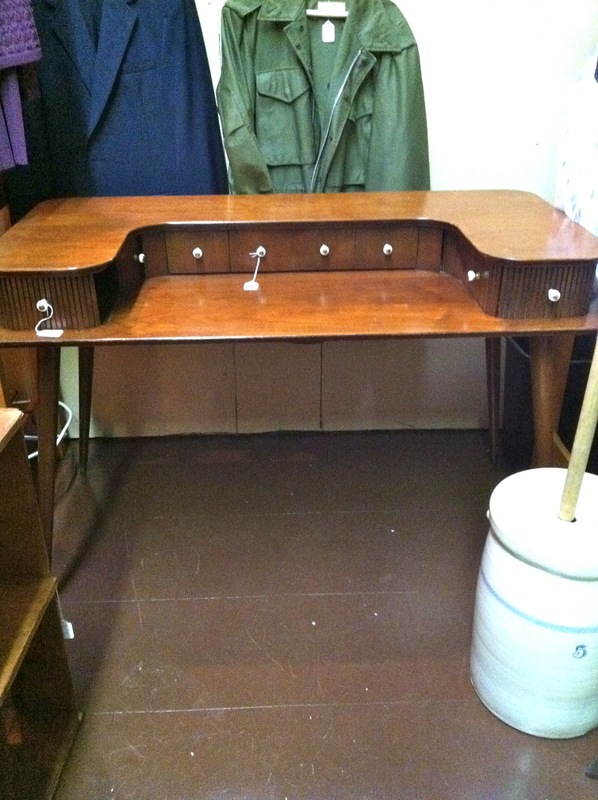 In the back we spied this awesome desk. 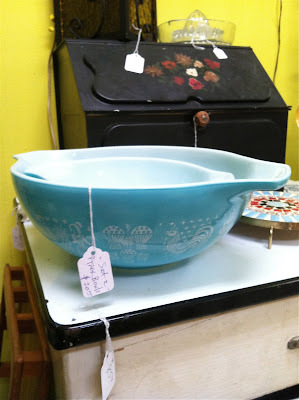 I don't think we'd have anywhere for it in our house but it didn't stop me from lusting after it for someone else. I think it is just super cool, especially in a hallway or other kind of makeshift office spaces. 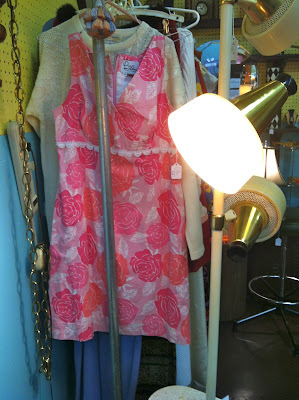 Vintage Lily, anyone? This one is a size 10 and in great condition. 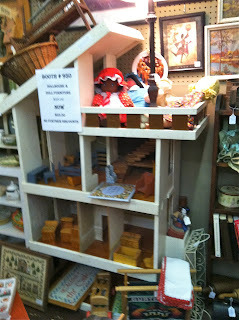 In the more cluttered part of the store, I spied this doll house. It is a complete house with furniture and dolls. I would have DIED when I was younger (who am I kidding, I still want it). The last area we came across was this fabulous retro set-up. In another house and decor setting, I could totally rock this turquoise couch. You can barely see, but there were orange side chairs with it too. Love it. Thank goodness for the ability to pretend shop by taking pictures because otherwise I would have bought more than I needed to - I fell in love with so many things. Hi Kathryn, love your blog. Just moved to Memphis. thanks for posting all your finds! 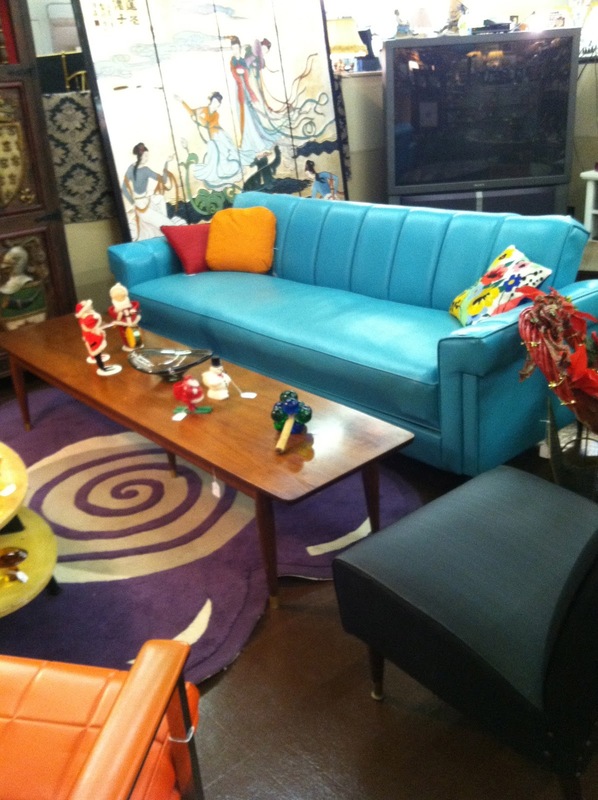 I love that couch, and may have to make a trip to Summer Ave.
Hi! Thanks so much! I loved that couch and think it is SO fun. Welcome to Memphis! !